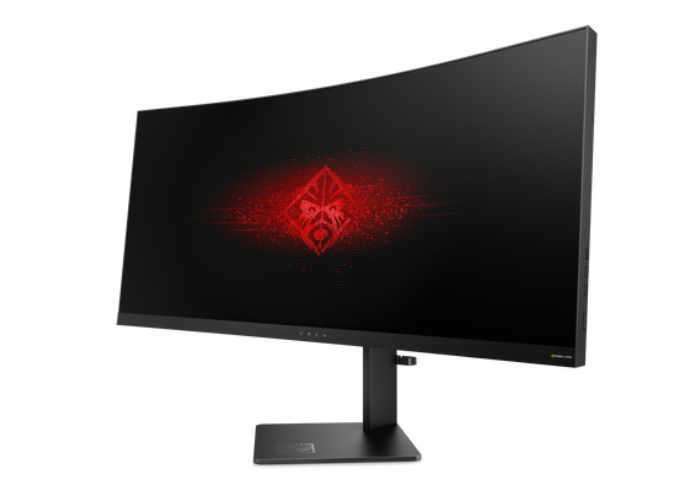 Following on from the launch of the HP Omen range of hardware last year, HP has this year announced a new addition to the range in the form of the HP Omen X Curved Gaming Monitor which comes equipped with a 35″ Wide QHD display offering users a resolution of 3440 x 1440 pixels. The screen offers a 100Hz refresh rate and a 4ms response time and sports a bezel that measures under 6.87mm on the sides and top of the screen which has been combined with a 1800R curvature allowing the distance from a person’s eyes to the screen to be almost equal wherever they may look when positioned in front. Other features of the Omen X gaming monitor include a 21:9 screen ratio, an AMVA+ w/LED backlight type-panel with 178 degree viewing angles, together with audio output as well as an headphone jack. The monitors stand supports tilt (5-23 Degrees) and height (5.12-inches) adjustments, with the monitor being detachable from the stand should you prefer to mount it using it using VESA. The Omen X monitor is also equipped with Nvidia’s G-Sync and will be available from March 12th, 2017 onwards priced at $1,299.